“Celebrating the end of Communism is inappropriate. It is creeping back in different forms under different flags and slogans, without sufficient resistance from us,” warned Václav Klaus, the first head of government of the Czech Republic after the end of the Soviet dictatorship, as reported by O Estado de Sao Paulo, Brazil. Klaus returned to the presidency for a second mandate between 2003 and 2013. He became internationally known for opposing the new, “metamorphosed” forms of Communism and especially the form that is most extreme – self-management; the one that the USSR had as a goal but never achieved. Klaus became a national hero for his role in the “Velvet Revolution” which precipitated the fall of Communism in his country. 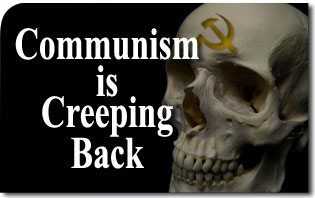 He has since denounced Communism that has emerged out of environmentalism, which creates panic about “climate change” but whose real purpose is to overthrow capitalism in the West. He does not hide the fact he is disappointed with the direction taken by Eastern European countries under the leadership of the European Union, which is tending to become a new USSR in disguise. Backed by his experience in governance, Klaus warns about the sheer mountain of market regulations imposed by Brussels, which however crazy this may seem, is actually greater than the one Moscow imposed on Prague during the Soviet era. This opinion is shared by millions of Europeans. Answering a question about Russian aggression against Ukraine, he told the Sao Paulo daily; “If Europe expected Russia to stay forever in the 90’s, they might as well forget about it. What Moscow lived in the 90’s was only a fleeting moment in history. Klaus showed that the transition from a socialist to a free economy is achievable but arduous, difficult and time consuming because of the profound mental distortion caused by the totalitarian system. The Czech Republic faced its biggest difficulty when the state-run economy’s central planning system collapsed. “We had to find private owners to take over entire industries. It took us years to privatize all state enterprises. “In my country, not even a single barber shop was in private rather than state hands.